Islam was introduced to Cyprus when Uthman the 3rd Caliph conquered in 649. 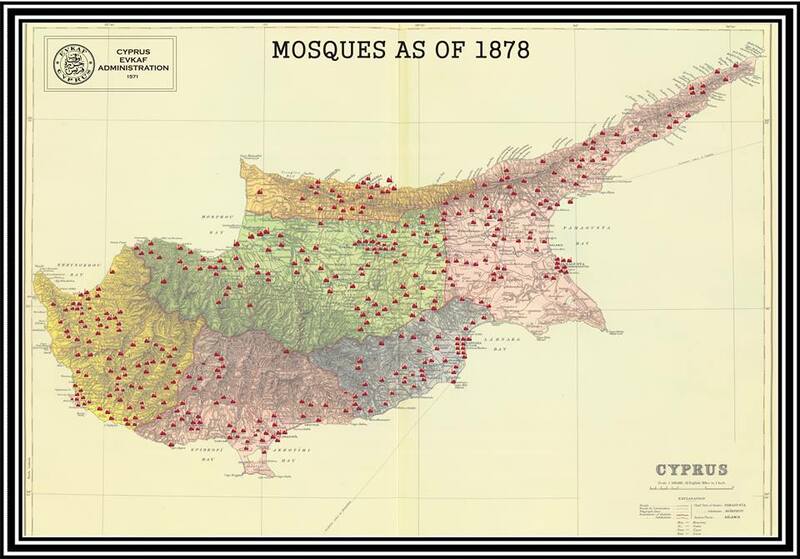 Muslims lived over the whole area of Cyprus but since the1974 events they are now concentrated in Northern Cyprus. 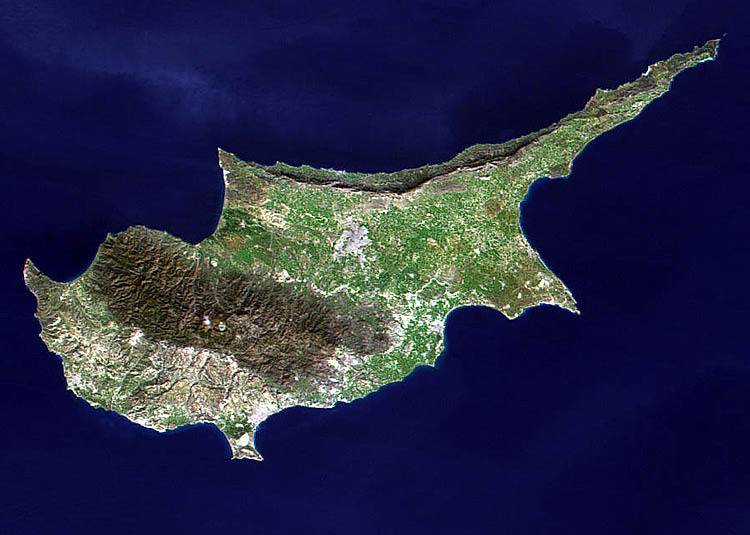 Until 1974, Turkish Cypriots (the Muslim community of Cyprus) made up 18% of the whole islands population. Today there are an estimated 264,172 Muslims based in the Turkish Republic of North Cyprus. Several important Islamic shrines and landmarks exist on the island including: the Arabahmet Mosque in Lefkosia (built in the 16th century), the Hala Sultan Tekke/Umm Haram Mosque in Larnaka (built in the 18th century), the Lala Mustafa Pasha Mosque, Selimiye Mosque and the Haydarpasha Mosque; former Catholic cathedrals left from the Crusader era, which were meant to cater exclusively to the Catholic minority which ruled the island and were converted to mosques after the Muslim conquest in the Middle Ages. Islam came to Cyprus early on in the Arab conquests, which at one point had also captured the Greek island of Crete. It is alleged that an aunt of the Prophet Mohammad, sallallahu alaihi wassalam, Um Haram, had accompanied the expedition. She fell off her mule and died and was entombed at the present shrine Hala Sultan Tekkesi. Most of the Turks settled in Cyprus during the Ottoman rule in 1572-1878/1914. The Ottoman Empire gave timars (land grants) to soldiers under the condition that they and their families would stay there permanently. During the 17th century the Turkish population grew rapidly, partly because of Turkish immigrants but also due to Greek converts to Islam. Since 1974, the Muslim population has been bolstered by settlers from Turkey who are almost exclusively Muslim. In the past there were 11 madrasas in Cyprus teaching Islam to a very high level. None of the madrasas have survived but some of the buildings are being used for other purposes. In Lefkosia the madrasa building is now used as a special needs education centre and the remaining part of the biggest in Pafos is used for shops.